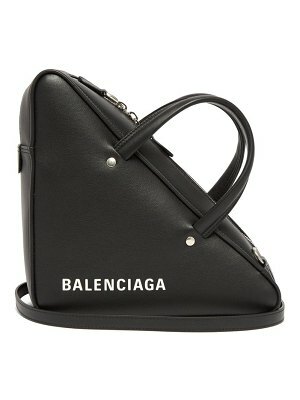 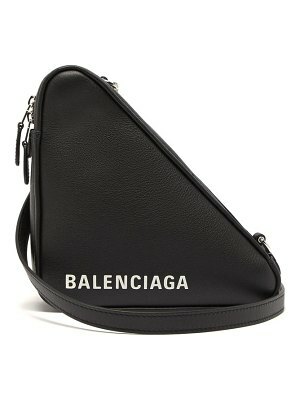 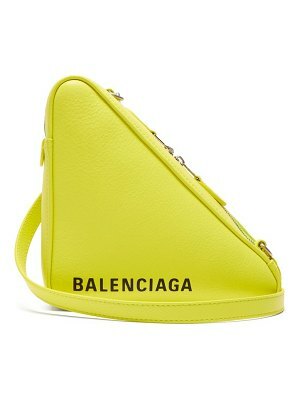 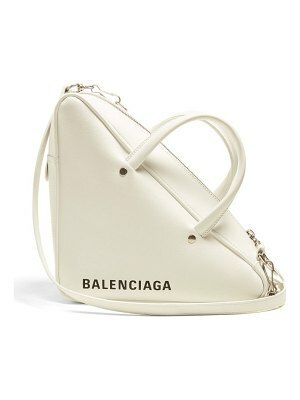 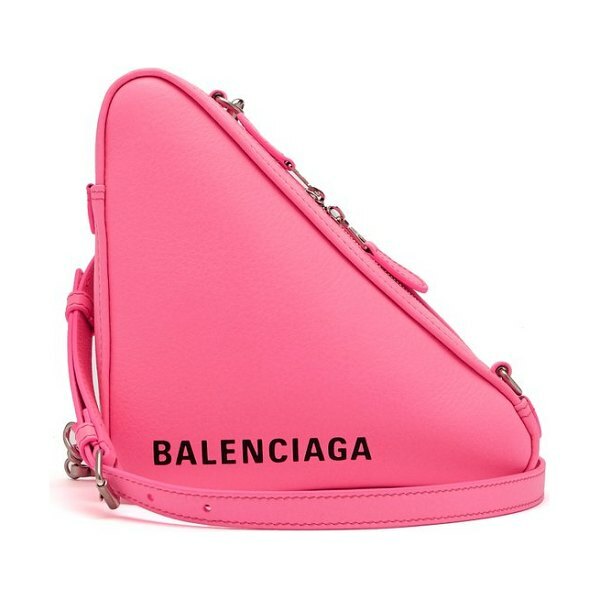 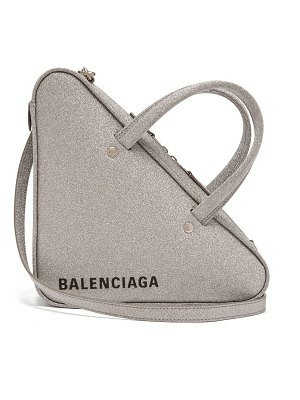 Balenciaga - Balenciaga's small neon-pink Triangle Pochette cross-body bag demonstrates the house's experimental play on proportions. 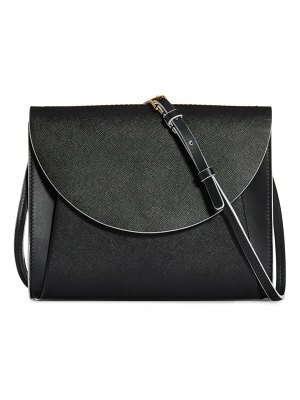 It's crafted in Italy from grained leather and hallmarked with the logo in black, before suspending from a detachable shoulder strap for varied styling possibilities. 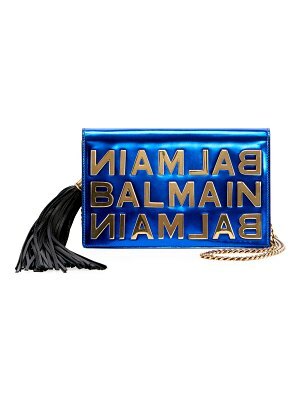 Carry it as a clutch alongside vibrant separates for a statement party ensemble.